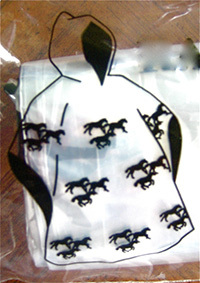 Galloping horse design, adult rain poncho. One size fits all. Never get rained out again. 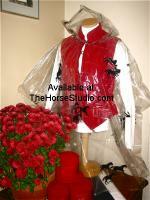 TheHorseStudio.com Review: Cheap and cheerful, I carry a few in my horse trailer and certainly use them. 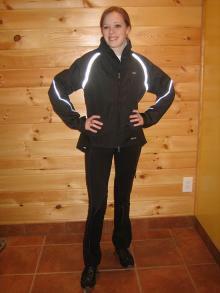 Comes with hood that keeps your neck and collar dry too.